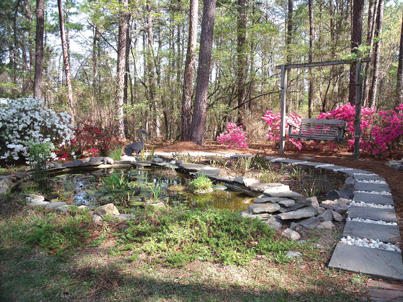 South Carolina's been blessed with an abundance of bugs - but getting the right ones to your yard can take some planning. Many of the insects that visit our gardens provide a benefit. Some of them improve the soil, and others pollinate our plants. But the term "beneficial insect" is most often used to describe the good insects that control the bad insects. These beneficial insects are the watchdogs of gardens - tiny sentinels that keep those pesky garden intruders such as aphids, mealybugs, scale and whiteflies in check without the use of harmful chemicals. The question is, of course, how do we get the beneficial insects to visit our gardens? Since many beneficial insects can be purchased as well as persuaded, a more important question may also be, how do we get them to stay? It may help to remember that beneficial insects are just another form of wildlife. So instead of thinking "bug," think of something larger: birds, perhaps. With that in mind, consider the two primary ways that you can get beneficial insects into your garden. You can purchase many varieties from local nurseries and online specialty stores. Or you can try to lure them into your garden. Well, what do you think would happen if you released a large quantity of predatory birds on your property? First of all, most of them would immediately fly away. And the ones that did manage to stay around might not be well-adapted to your area and could become sick or cause problems to the native wildlife. Now think of the second option. Imagine that you create an environment that predators find so inviting that they fly in on their own and set up housekeeping. You will attract native predators that want to dine on native prey. "To have predators like ladybugs and lacewings you need prey for them to eat," explains Dr. Eric P. Benson, a professor and extension entomologist at Clemson University. "So you would need enough plants to encourage aphids, a variety of scale insects and other plant feeders to have, and keep, the predators. 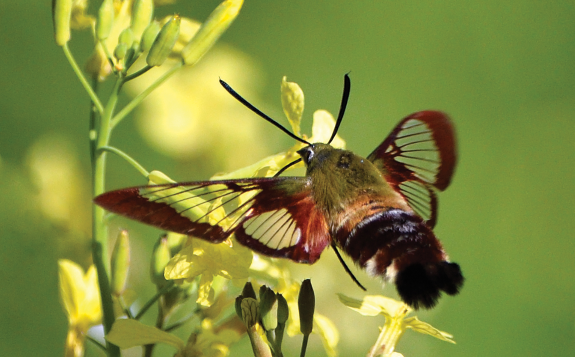 "While they can be attractive, large lawns and cleared wooded areas will not have the insect diversity that natural areas will have," Prof. Benson continues. 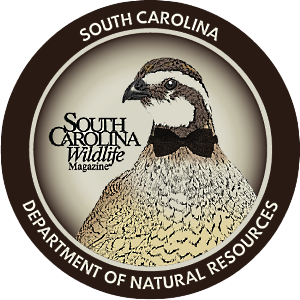 "Keeping plants native to your area intact, if possible, around your property gives you the greatest chance to see interesting South Carolina insects. Diverse natural areas with transition zones will give you the greatest chance of a diverse insect population, many of which are beneficial." Eliminating harmful chemicals and bug zappers helps provide for their safety. If you must apply pesticides, choose less toxic options such as Bacillus thuringiensis (Bt), neem oil, dormant oils or insecticidal soaps. Almost any water is enough for insects. If you do not have another water source, a shallow dish or pan of water filled with pebbles so the insects won't drown will suffice. In theory, if you have pest insects in your yard, you will have food for beneficial insects. However, garden pests are often not enough to entice beneficial insects to stay. Some beneficial insects feed directly on their prey. Others are parasites and kill their hosts by laying eggs on or in them. The growing young, in turn, kill the host insect by using it as food. But most beneficial insects also require components found in pollen and nectar plants. Without these plants, beneficial insects cannot survive. If you provide plants that beneficial insects enjoy, you will have a much better chance of attracting and retaining beneficial insects in your garden. "Doing a little research in advance will result in more effective natural biological control," suggests Geoff Zehnder, a professor of entomology and the coordinator of the integrated pest management program at Clemson University. "The type of beneficial insect you want to attract depends on the type of insect problem you have, so it's helpful to first identify the key insect pests that are causing problems, and then pick flowering plants that are most likely to attract natural enemies that will control those specific pests. "Some common plant pests in South Carolina include aphids, mealybugs, scales, whiteflies, thrips, spider mites and caterpillars," Zehnder continues. "If you aren't sure which insect you have, your local extension office can help with identification." Once you know the pest you are dealing with, you can use the information below to help you decide whether to purchase or try to attract the correct beneficial. Ladybugs, lacewings and mantises are three insects that can help you keep a healthy balance of predator and prey species in your garden. Ladybugs - Both adult and larval ladybugs help control aphids, scale, mealybugs, spider mites and whiteflies, as well as other insects. 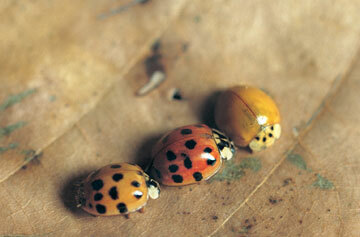 The adult female ladybug lays up to fifty eggs per day, usually on the upper side of leaves of infested plants. The eggs hatch into orange- and black-marked larvae that can consume four hundred or so aphids during this twenty-nine day stage of their lives. Ladybugs live about eleven months as adults. Live ladybugs can be purchased from many garden centers, but often 90 to 95 percent of the ladybugs you release in your garden will immediately fly away. Instead, try to attract ladybugs to your garden by planting pollen-rich plants such as marigolds, yarrow, angelica, dill, fennel, lemon balm, caraway and catnip. Green lacewings - If you decide to purchase beneficials for your garden, lacewings are considered the most effective predators you can buy. They eat aphids, thrips, mealybugs, scale, moth eggs, whiteflies, small caterpillars and mites, and they have a tendency to stick around a little better than ladybugs. 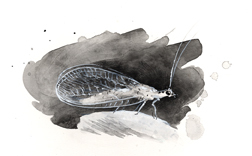 You can purchase lacewings as eggs, larvae or adults. The larvae are the most voracious form of this insect, but it is best to purchase them as eggs. The life span of green lacewings is about thirty days in their immature stages and about two months as adults. Pollen, nectar and honeydew will help sustain the adults, which don't eat a lot of pest insects but will stick around, go forth and multiply if kept happy. Lacewings are less likely to fly away than ladybugs as long as you provide the adults with nectar sources for food. The same plants that attract ladybugs will attract green lacewings. Praying mantises - As ferocious general predators, praying mantises are eager to help with any of your garden pest problems, including aphids, grasshoppers and leafhoppers. Unfortunately, they are indiscriminate in their diet and will also eat honeybees, butterflies and other beneficial insects. Nevertheless, the mantis is the only predator that feeds at night on moths and the only predator fast enough to catch mosquitoes and flies. Because of their unique, almost alien appearance, they are also fascinating to watch for both adults and children. Praying mantises can be purchased in their egg cases, which each contain from fifty to two hundred insects. The egg cases should be attached to a twig or tree after any danger of frost. It can take from two to eight weeks for the mantises to hatch. After hatching, the predatory nymphs feed and grow throughout the summer, molting several times before becoming winged, mature adults. 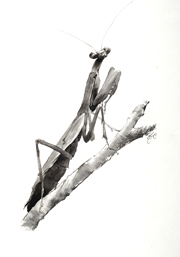 Praying mantises do not eat plants and need a large insect population to attract them or retain them in a garden. They will resort to cannibalism if they cannot find other prey. As with most things in nature, it is always better to conserve or supplement the native beneficial insects already at work in your garden than to try to bring in imports, which may have a negative effect on butterflies, moths, pollinators and other friendly garden residents. To keep the natives happy, make sure you have some of their favorite plants on hand. As a general rule, beneficial insects like tiny flowers that offer both pollen and nectar. A variety of plants that bloom at different times of the year should be selected and, for best results, should be interspersed amid your other plants. Beneficial insects love the tiny, fragrant flowers of many types of herbs and vegetables, so if you grow this type of plant, allow some of them to fully bolt and produce flowers. In addition to nectar from flowers, many plants also have "extrafloral nectaries," which are nectar-producing glands on leaves, stems, bracts and fruits. The substance they secrete is about 95 percent sugar with the other 5 percent consisting of other important nutrients. Some scientists have hypothesized that plants actually excrete these substances in an attempt to attract beneficial insects. In any case, extrafloral nectaries offer an important supplemental food source for beneficial insects, particularly during extreme weather conditions such as drought and at other times of the year when prey species are scarce. Studies by universities and the U.S. Department of Agriculture have shown that spraying plants with artificial insect attractants greatly increases egg-laying by beneficial insects. Several artificial food sources such as Wheast®, BugPro™ and Bug Chow® may be purchased from organic garden suppliers. Or you can make your own "fast food" for beneficials by mixing one part whey yeast (or brewers yeast) with one part sugar and ten parts water; spray the mixture on your plants. In addition to choosing plants with flowers to attract the beneficials, Dr. Russell F. Mizell III, a professor of entomology from the University of Florida, recommends the use of "banker" plants. 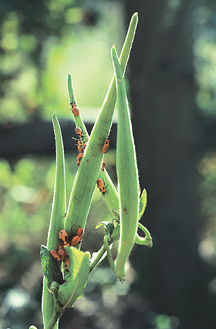 A banker plant is one chosen specifically to attract and host pest insects, which in turn will attract more beneficials. "An ideal banker plant system utilizes a pest insect that does not hurt the crop or plant you are trying to protect," Mizell says. 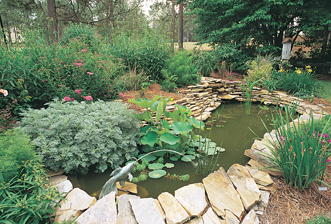 "But it attracts the beneficial that will move off that plant and onto the other pests in your garden. For Southern gardens, crape myrtles are an excellent choice. "Crape myrtles attract an aphid which is host specific. In other words, it does not feed on any plants other than crape myrtles. However, the crape myrtle aphids and their sugar-laden honeydew serve as food for twenty or thirty species of beneficial predators, as well as countless bees and wasps. Because the aphids are not native to the United States, most of our native predators do not prefer these aphids over the native species. 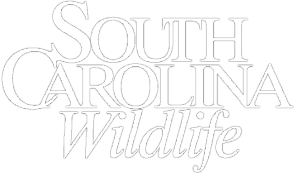 The predators will leave crape myrtle periodically to search the surrounding vegetation - your yard and garden - for their more preferred prey, your other plant pests, thereby enhancing natural biological control. 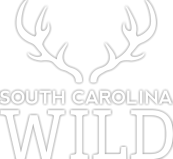 To be successful, you have to ignore the sooty mold and the aphids on the crape myrtles." Betsy S. Franz is a freelance writer and photographer specializing in nature, wildlife and the environment. Visit her online at www.naturesdetails.net/BetsyFranz/index.shtml.